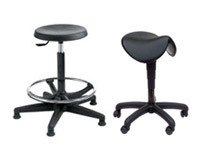 What is the purpose of the Gas Lift Posture Stool? This hip designer chair brings a youthful, cutting-edge feel to your commercial and manufacturing space! Height adjustment is a snap using the toggle at the back. All steel tubular construction through the central pillar and the curve-footed base makes this stool virtually indestructible in normal use but very light-weight at the same time. The lean profile of this stool allows quick storage and concealment. The monochromatic black not only makes a bold style statement, it is easy to maintain and clean. 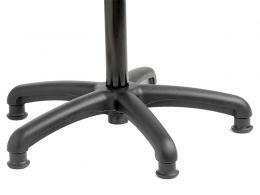 The angle support stool is resistant to stains, scratches and dirt or grease. Angled back serves double duty – back support when seated and a convenient handle for moving the chair to other locations. Industrial-duty black plastic feet allow lower friction sliding across polished floors. 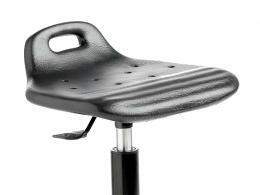 The seat features “flow-through” ventilation for cooler sitting in hot industrial and culinary spaces. Natural height configuration makes a footrest unnecessary. The angular support stool is perfect for public-facing client and customer service. The design is perfect for maintaining the “high style” ambience of your public spaces but does not sacrifice comfort, allowing pain-free service through long work shifts. 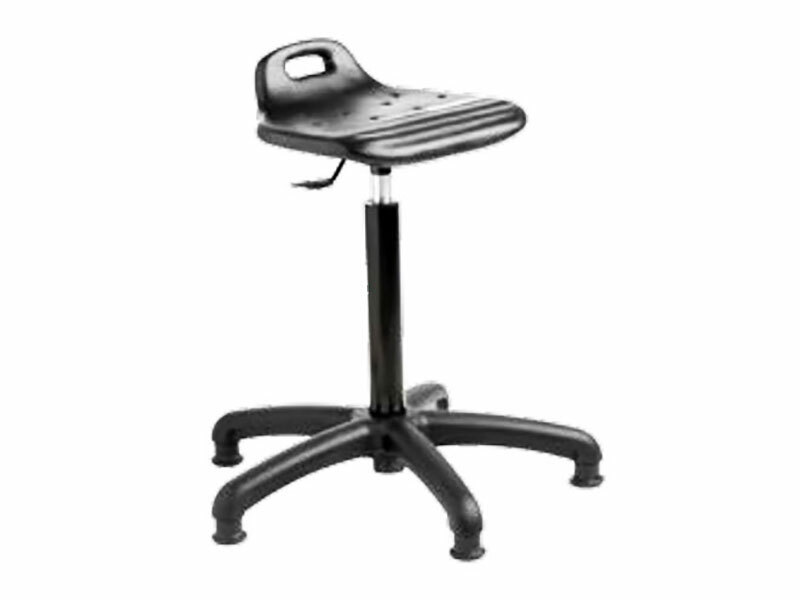 The gas lift posture stool is suited for customer/client counter service staff, beauticians and barbers, architects and interior designers, opticians, jewellery shop staff, audiologists and hearing aid fitters. The stool is well suited for public locations of businesses and is also perfect for customers to sit at tall glass cases such as are seen in eyeglass shops, jewellery retailers and other style and fashion-oriented businesses.